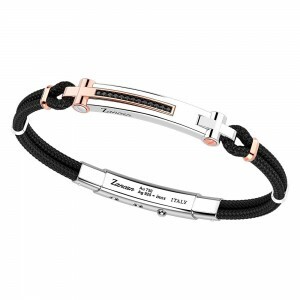 Collections>Rekord 925>Silver and gold bracelet with black kevlar cord. 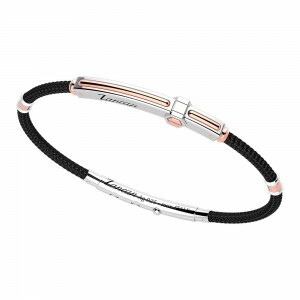 Home > Collections>Rekord 925>Silver and gold bracelet with black kevlar cord. 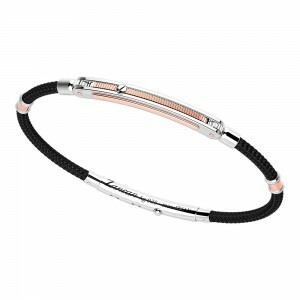 Silver and gold bracelet with black kevlar cord. 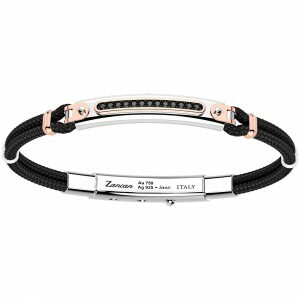 Men's sporty and refined bracelet. 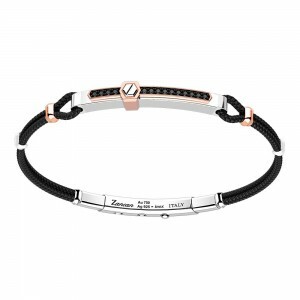 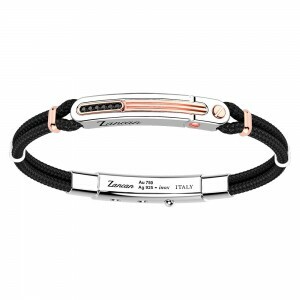 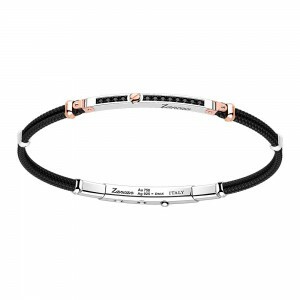 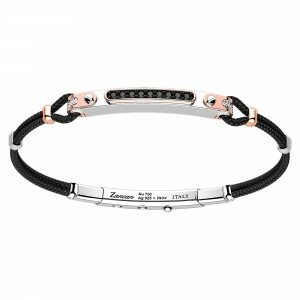 The central element is in silver with a satin pink gold plate. 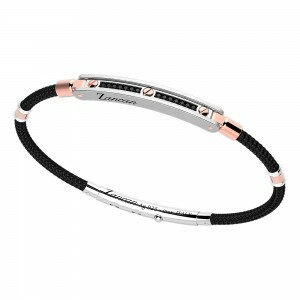 Kevlar lanyards are held together by silver elements. 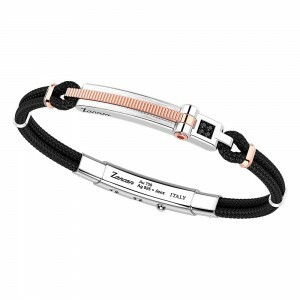 The closure is in hypoallergenic steel and adjusts to three positions. 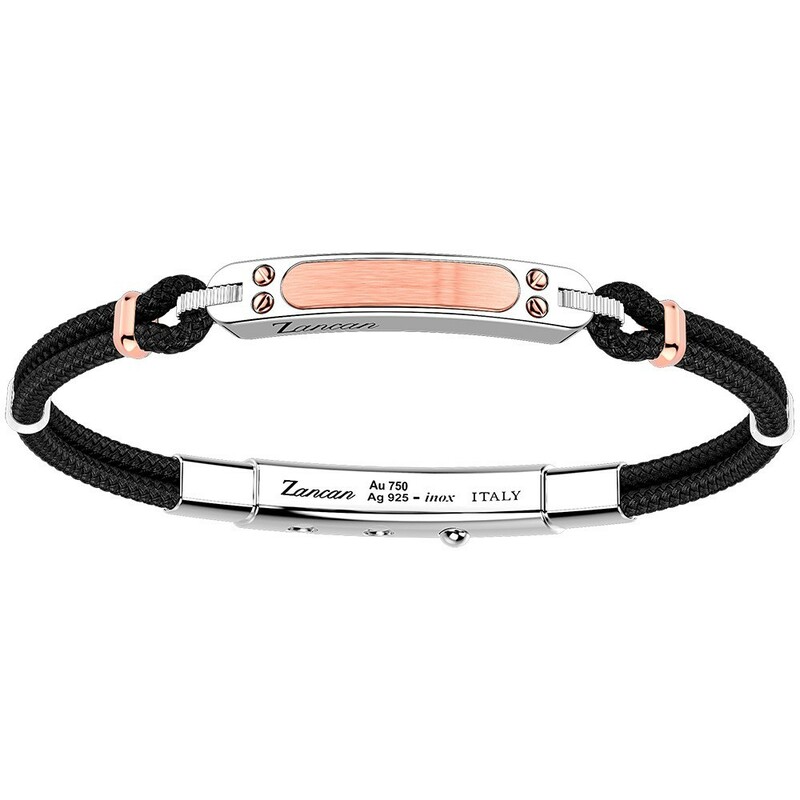 Sturdy and refined, it adapts perfectly to your wrist while maintaining a perfect line.